It is with pleasure that we bring you news on recent developments at Project Wadi Attir. As you will see, the period since our last update continued to see intensive activities on a number of fronts. While we have had our challenges, the project is thriving. Our construction program proceeds in full swing. We’ve improved professional oversight of our growing herd of goats and sheep. 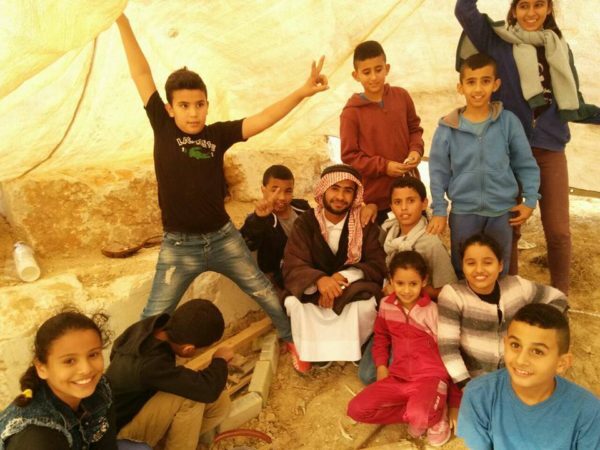 Sale of dairy products, now mostly within the Bedouin community, continues to expand, and various health-related products from our medicinal plants program are being marketed. We anticipate a marked increase in income from the project’s economic activities this year. At the same time, the Visitor’s Center is bursting with activity, hosting hundreds of students of all ages, and visitors from many parts of the world. We’ve also started work on developing an eco-tourism program, a potentially important source of revenues. Impacts of our ecosystem restoration program continue to awe us, with life now flourishing on our previously barren site. Our efforts to improve management capacity continue, and we feel fortunate to have Itzik Zivan, already well known to the Bedouin community for his tireless support and numerous leadership roles, join our team as a volunteer CEO. We have also strengthened our Board by adding three external directors. A particularly exciting event during this period involved a presentation of the project at President’s Reuven Rivlin residence in Jerusalem. This was definitely one of these moments which confirm the validity of our efforts.